37 years, 7 months, 25 days old age. 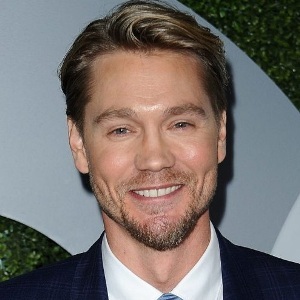 Chad Michael Murray will turn 38 on 24 August, 2019. Only 4 months, 5 days, 3 hours, 54 minutes has left for his next birthday. Chad Michael Murray has celebrated the total number of 37 birthdays till date. See the analysis by days count and bar graph. Chad Michael Murray was born on 24-08-1981 in Buffalo, Erie in the state of New York, United States. He is an American Film Actor, Television Actor, Spokesperson, Writer & Model. Chad Michael Murray began his modeling career while he was still in his teens. After which, he shifted his focus to build a career in acting. He began his acting career by doing some minor role here and there in shows like ‘CSI: Crime Scene Investigation’ and ’Diagnosis: Murder’. The handsome actor was then cast in the role of Tristan DuGrey in the comedy series ‘Gilmore Girls’. He then grabbed a role which made him a known star, the role of Lucas Scott in the series ‘One Tree Hill’. He remained with the show for six seasons and made the character Lucas as his own. In addition to the small screen, he has also worked in some super hit comedy feature films such as 'A Cinderella Story', ‘House of Wax’ and ‘Freaky Friday’. Among his recent released films are To Write Love on Her Arms, Camp Cold Brook and Outlaws and Angels. He was last seen in the television series Sun Records in 2017 in which, he played the lead role. For his splendid work, he received many Teen Choice Awards and nominations for his movies ‘House of Wax’ and 'A Cinderella Story' and television series ‘One Tree Hill’. He was born to Rex Murray and has three brothers and a sister along with one half-brother. He married his co-star from One Tree Hill, Sophia Bush in 2005 but the marriage ended in a divorce in 2006. He was then engaged to Kenzie Dalton. He called off the engagement after seven years in 2013. After which, he dated actress Nicky Whelan for a year. He then married his co-star from the television series Chosen, Sarah Roemer in 2015 with whom he has a son and a daughter.